The little ones will learn to tell the time in no time with this Disney children's Movin' Hands Minnie Mouse white strap watch. This watch features clear hour markers within the dial and minute reminders on the bezel to help your little learners. 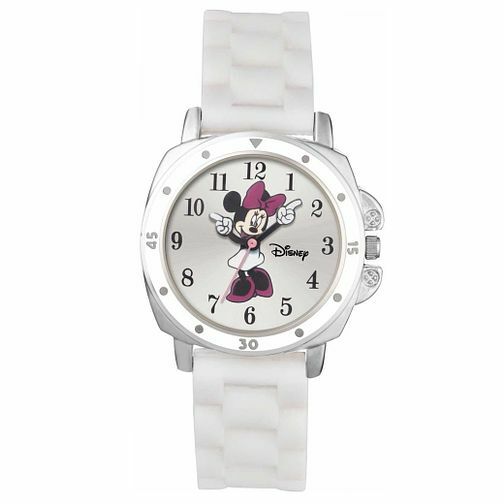 Disney Children's Movin' Hands Minnie White Strap Watch is rated 4.7 out of 5 by 3. Rated 5 out of 5 by Anonymous from Stylish watch for a little girl Birthday present for my little niece. She absolutely loved it.